Years have passed since I last explained it, so I thought it appropriate to share my very first Flying Carpet column that tells the story behind the name. “Magic! The whining of the gyros gave way to mystical drums and rhythmic chanting, crazily mixing images of flight with those of ancient and sacred ceremonies. Chills traveled up and down our spines-we could scarcely have been more astonished if we had arrived by flying carpet. “Adventurer Richard Halliburton would have appreciated our situation. After hitching ’round the world by freighter and camel in the 1920s, he became obsessed with visiting remote Timbuktu, a legendary mid-Sahara caravan stop. The way to get there, he decided, was by The Flying Carpet, a black-and-crimson Stearman that he bought and shipped to England in 1931. “With pilot Moye Stephens guiding the Stearman, Halliburton traveled the ancient world to exotic places such as Baghdad, the Dead Sea, headhunter country in Borneo, and, yes, Timbuktu. During the course of his journey he enthralled princes and paupers alike as he took them on their first airplane rides. “It’s tempting to look back at those times and think we missed the real adventure of flying. Well, we didn’t. Flying was out of reach for all but the wealthiest people in Halliburton’s day, so most people could enjoy flying only vicariously through his writing. “Today we live exploits that Halliburton’s readers could only dream of — piloting our own flying machines on our own adventures. Continue reading my first Flying Carpet column, “Ninety Minutes to Another World,” here. (Article takes a moment to load.) This column first appeared in AOPA Flight Training magazine, January, 2000 issue. Read my book, Flying Carpet: The Soul of an Airplane for more on how Halliburton’s flying adventures inspired the naming of my column and steed. 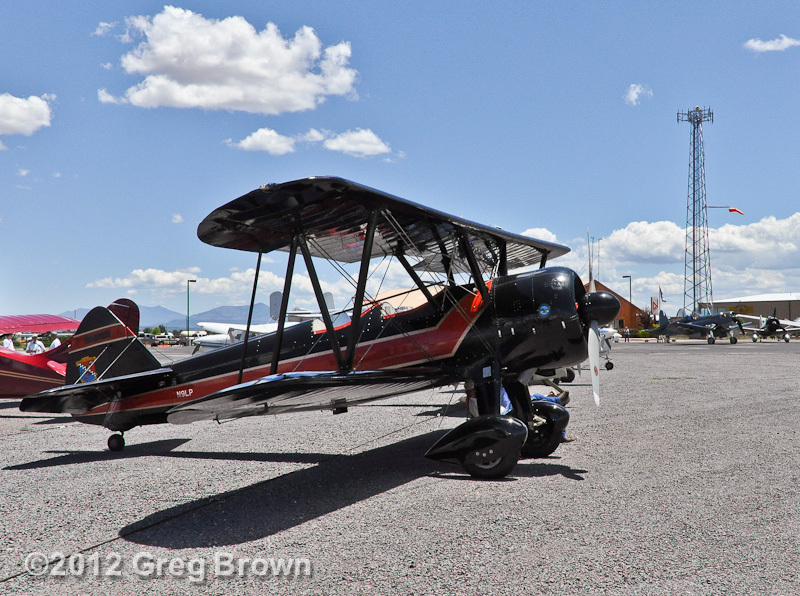 Top photo: LeRoy Peterson’s black and crimson Stearman biplane, similar in appearance to Richard Halliburton’s Flying Carpet. 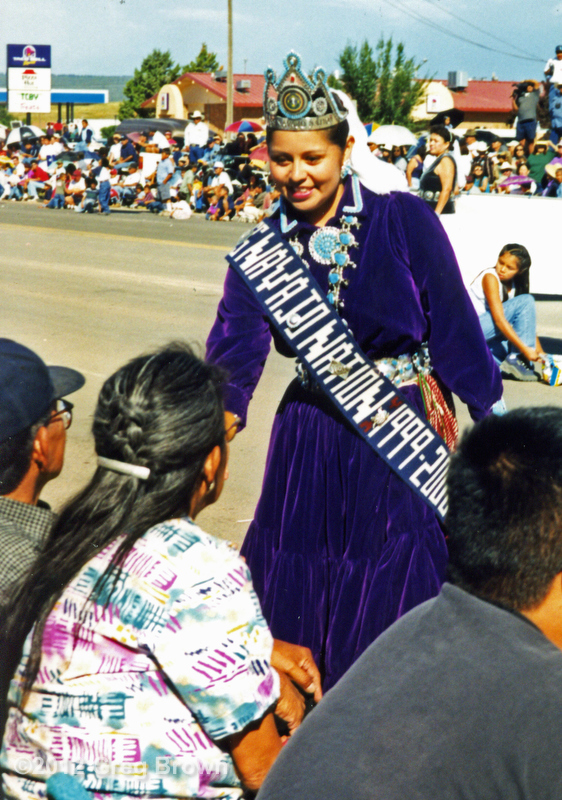 Lower photo: Miss Navajo Nation at the Navajo Nation Fair, Arizona, as detailed in the column. Richard Halliburton was a renowned travel writer in the 1920s-30s. Among his most popular works are Richard Halliburton’s Book(s) of Marvels, and The Royal Road to Romance. His lesser-known 1932 book, The Flying Carpet, tells the story of his adventures flying North Africa, Europe, and Asia in a 1929 Stearman biplane. Very nice site! Intriguing what you do. I just thought you might like to know that I completed a biography last year -“Flying Carpets, Flying Wings: The Biography of Moye W. Stephens.” It is the first factual narrative on the Flying Carpet round-the-world flight. Just ordered it, Barbara. I look forward to reading your book! If you found the book informative, is it possible for you to write a review on goodreads. com for me. Now that I’m finished with a 4th book – Endorsed by Earhart: How Amelia Financed Her Flying – I can read yours. I just can’t seem to quit doing research!